Hunan New Era Technologies Co., Ltd has many years experience to produce cast iron and cast steel parts for the farming, tillage, seeding, agricultural and gardening machinery in Europe. Our main customers are producers of agricultural equipment, tools and accessories. 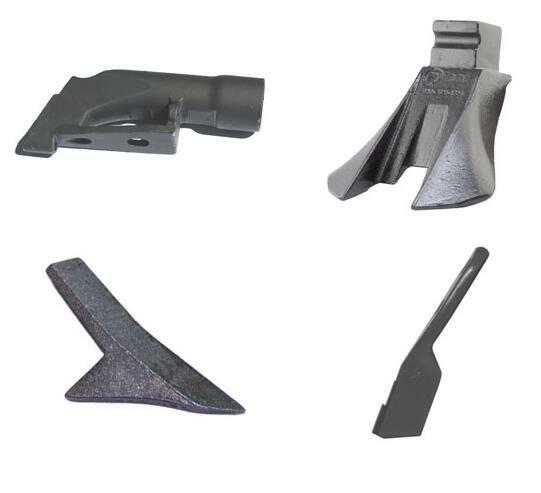 So our casting parts will be used in the ground engaging tools and drive systems, including land sweeping, tillage and heavy machinery, such as blade, gearbox body, and so on. We not only supply rough casting parts, but also machined casting parts according to our customer’s requirements. We produced them by various casting processes, including automatic molding, machine molding and shell molding process. We have been exporting our casting products for over 10 years to foreign countries. Those casting parts produced by us enjoy good reputation among our customers.